Pinguy seems to be tied closely to Ubuntu. Do we want to continue this path or make IWOS a stand-alone fork. (04-17-2017, 12:36 PM)Larry Wrote: Pinguy seems to be tied closely to Ubuntu. Welcome to the forum members! I think the Pinguyos dead. Place on the grave of an imaginary flowers, think of it with a good heart, and let's move on. Ubuntu as a basis - anything wrong about it!? I do not think so...or am I mistaken? What should be the target audience for the new OS anyway? Same group and goals as Pinguy. I just want to make sure I am going the right direction. 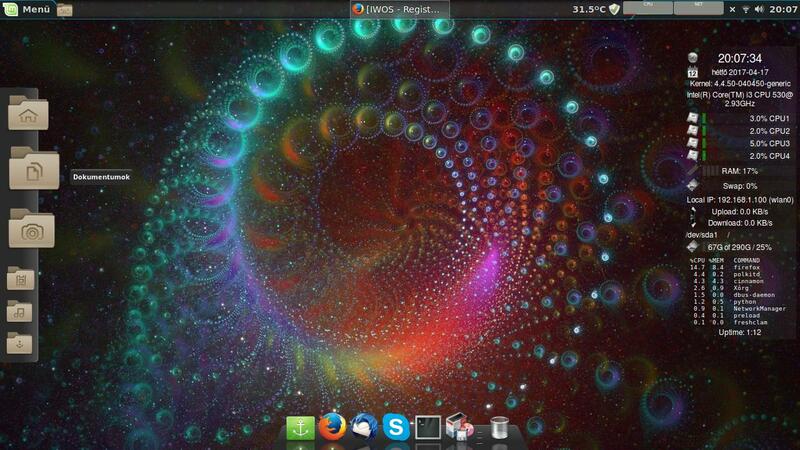 The way it is now is that Pinguy is just re-wrapped Ubuntu with a few changes. and pull things I like from several other OS releases for IWLinux. What I would like to do is merge Pinguy and IWLinux into IWOS. Not a big deal at the user interface level but many changes under it. I also use Debian from time to time. That would be barely noticed by most and since Ubuntu can not turn a profit, may be the wise way to go. Scavenging the best from all OS's sounds great. That would be a great calling card! Striving for the best of the bunch (easy to use, accessible for newbies as well as offering a fair bit for the advanced user) - sounds great. But it also requires a lot - a lot of choices now and in the future and a lot of work to sustain it in long run in my eyes. (I surely hope that we are looking at a bunch of releases here...aren't we? Just LTS would be fine with me..). So the question is how high do you want to aim. What would be reasonable release schedule be? Yearly, bi-yearly or even a rolling release distro (mmhmm...no good for the audience targeted...I think)? Hey - any idea - how to advertise this out there?